Questlove on roller-skating with Prince: An excerpt from his new book, Mo’ Meta Blues, with co-author Ben Greenman. 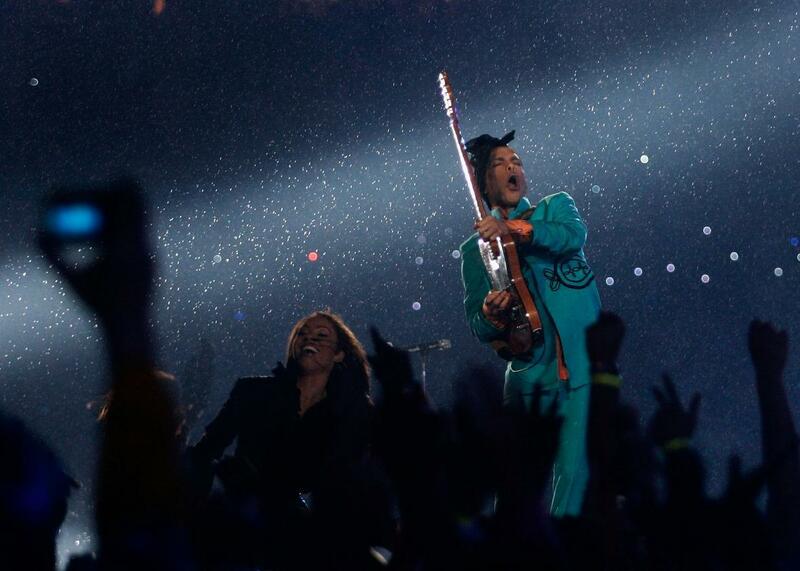 Prince performs at the Super Bowl in 2007. This following is an excerpt from Mo’ Meta Blues: The World According to Questlove by Ahmir “Questlove” Thompson and Ben Greenman, out now from Grand Central Publishing. I got a text from Prince’s assistant. That’s how things go in the Prince universe: You get a pre‑message saying that a phone message is coming later. But this time, the message said something different. It said that there was going to be a roller‑skating party that night, for Valentine’s Day, and that I should bring some cool people. Prince’s assistant texted me directions to a rink in Glenside, way out in the middle of nowhere. It was around one in the morning by the time we drove out there, and the place was empty, a bare rink, and I started to worry that I had the wrong place, or that I had been punked. Maybe Alan and Chris were in on the joke. Maybe they were all somewhere laughing. Then I saw DJ Rashida and some of her friends skating. “Hey,” I said. “Hey there,” she said. They were so happy to see us that I started to feel bad that I hadn’t brought more people. “No,” she said. “Don’t worry about it. Prince likes to keep things intimate. A dozen people is a big crowd to him.” That may have been true, but it was crazy for her to say, as a DJ, and just as crazy for me, as a DJ, to hear. Do you know how hard it is to entertain a crowd that small? My girlfriend and I skated for about an hour. No Prince, no noth­ing, and the longer we went, the stranger it seemed. Was he com­ing? Was he up in the rafters, laughing? It was a strange setup, to say the least. Someone was putting down cash to keep the kid behind the snack bar there, watching the pizza bake under the heat lamp. He should have been home studying for his spelling test. Around two in the morning we were ready to go. Still no Prince, and the anthropological benefit of watching this strange half‑attended all‑skate was wearing off. Suddenly, Eddie came in. When I got back, Prince had the briefcase out on the floor. He clicked the lock and opened it, and took out the strangest, most singu­lar pair of roller skates I had ever seen. They were clear skates that lit up, and the wheels sent a multicolored spark trail into your path. He took them out and did a big lap around the rink. Man. He could skate like he could sing. I watched him go, so transfixed that I didn’t even notice Eddie Murphy appearing at my arm. “I’m going to go get your phone for you,” he said. 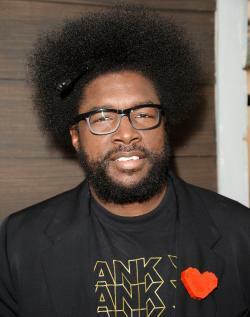 This is an excerpt from Mo’ Meta Blues: The World According to Questlove by Ahmir “Questlove” Thompson and Ben Greenman. Copyright (c) 2013 by Ahmir Thompson. Reprinted by permission of Grand Central Publishing, New York, NY. All rights reserved.